Let me first start off by stating that this may apply to more than just eating disorders. Maybe you have been diagnosed with an eating disorder. Maybe you think you might have one. Or maybe you’re a chronic dieter who has spent years upon wasted years trying to beat the scale, only to give up one diet and start a new one. So let me just expand the definition of eating disorder. When I speak of an eating disorder, I am simply talking about disordered eating. Eating in a way that is not normal. Restricting the foods you eat because you’ve been “trained” to think they’re bad foods. Having episodes where you eating more than maybe you should (i.e. binge eating). Basically just living a life where you cannot eat whatever you feel like eating and still feel as though you are in control. So now that that is out of the way, let’s have some real talk. Down to the nitty gritty. Why haven’t you let go of your disordered eating? What are you holding on to? As an eating disordered person, I didn’t know how to properly cope with life and all the hardships that come with it, and I think that is probably where many of us struggle. What are some ways we can cope? * Keep a journal and write about your feelings. * Have a hobby that will calm you and divert your attention. I found that eating (or not eating) was just such a quick fix. It solved the problem of being stressed or overwhelmed almost instantly. But I wasn’t healthy. I was on a slow but steady path to my death bed. Yes, these ideas take a little more work. They will change your life though. They will save your life! As a chronic dieter, or someone who restricts the foods that they eat in some way, the fear of gaining weight is very valid if they were to let go of all restrictions. I was terrified of letting go of my eating disorder for that exact reason. I had worked so hard to stay in control so I would be small and fit into all of these smaller clothes I had in my closet. What would happen if I started eating normally? How am I going to fit into these clothes if I’m eating more than one meal a day? Let’s just get this straight real fast. This is not about the weight. Do not focus on your size. That can come later. Now, we just need to worry about how we are feeling. How we can become happy and stable people without the crutch of food? How can we rely on ourselves and the tools we were given as human beings to cope with life? That is number one. As for the weight issue. For me, as an anorexic/restrictive-eater, I chose to use exercise as a stress-reliever. I didn’t get obsessed about it. I didn’t spend hours upon hours at the gym to balance out the food I was all of a sudden adding to my diet. Just an hour or so a day. Working out made me feel good. It diverted attention from the stress I potentially could have incurred from freaking out over all the new calories in my body. There may be some weight gain. I’m not going to try to convince you otherwise. But I am going to convince you that that is your choice and your choice alone. That is the key to all of this. You have the power to choose. Do you choose to gain weight when you start eating “normally”? Or do you choose to work a little harder, incorporate some exercise in your life, and balance out the possible weight gain? It’s all on you. I don’t know about you, but I spent so many minutes, hours, and days involved in my eating disorder. I would look at triggering blogs, “thinspiration” pictures of super skinny girls, and “tips & tricks” for how to continue restricting. I spent hours in bed because I was sick and weak, and just didn’t have the energy to do anything at all. Time was spent coming up with a new eating regime. Time and money was spent on the food I would binge on and then just spend hours trying to sleep off the pain of being so full. Without all of these things taking up my time, I wasn’t quite sure what I was going to do. What was going to fill the void? That was something I was seriously afraid of. It is now your turn. Your disordered eating has had enough time with you. It’s now time for you to find YOU! Did you know that I didn’t like cooking until I gave up this eating disorder? I had no idea that I had it in me. Food had been the enemy for so long. I had no idea of this passion inside of me. And now that I have let go of such hard feelings for food, I love it. I love it with such passion. And DIY home projects. I had no idea I had that in me either! What is inside you waiting to be discovered? Maybe you don’t know what your hobbies or desires are. Take some community classes. Browse the library for books that may spark your interest. Maybe, like me, you want to help others to break free of the confines of disordered eating. You have been given a life. Please do not waste any more years of it with dieting and eating disorders. Your potential is sky-high, and I hate to see it wasted. Find your passion. You have all the time in the world. Conquer your life! * a life outside the eating disorder: hobbies, hobbies, hobbies. What makes you YOU? What is your passion? Now is the time to live your life! What are you holding on to? Why are you scared to let go and just live your life diet-free? What will it take for you to LET GO? I fall into the ‘overeating’ category of eating disorders- I’ve spent years weighing 250lbs or more, and even though I’m legitimately ‘big boned’ (even at my thinnest, I’m built like a linebacker for a pro football team) I’ve been significantly overweight for most of my life, and all of my adult life. I can’t really pinpoint WHY I’ve always been this way. Some combination of a ‘just the way it is’ mindset, paired with never really knowing about food and how it’s effecting my body. I’ve never enjoyed exercise (sweating? blach!) and never had a physical hobby I enjoyed, beyond swimming, and at my heaviest, I was so uncomfortable in a bathing suit, it was mortifying to be seen in public in one. Earlier this year, I had a falling out with my (seriously dysfunctional) family, and shortly after, I made the decision to take hold of my life. It was time for things to change, and they were going to change right then. So, I did. I know it’s not nearly that easy for everyone (I’m a Taurus and stubborn is a component of my DNA. 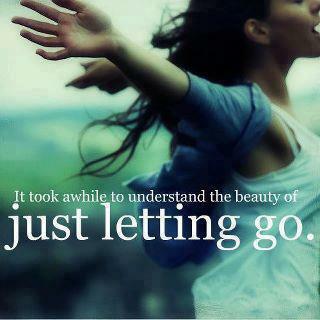 lol) but I just knew it was time to let go of all of the things that had held me back all of these years. We (my husband and I along with our two little ones) took up biking. I cut out soda first, and once I saw a dramatic change from that (10lbs) I started using the myfitnesspal.com app to keep track of my food intake. Early on I decided that this wasn’t going to be a diet. It was going to be a complete and total lifestyle change. I decided I would never limit myself in terms of, “Oh, I can’t have that- it’s ‘bad’ for me.” but instead, work hard to keep the amount of what I wanted under control. I was completely blown away by the amount of calories I was consuming in a day. I couldn’t believe how quickly every little thing I put in my mouth, added up. And yet, because I never forced myself not to have something, I had a much easier time limiting myself to just one or two. And before I knew it, it didn’t take much to fill me up, and one or two pieces of chocolate really did satisfy my cravings. I just wanted to share that, in case you have some readers who are struggling wit the same things. I’m a big advocate of being able to do anything you put your mind to, and the only thing stopping you is your thoughts and perspective. Becca, what an inspiration you are! I am so proud of you for taking charge of your life. It’s so easy to say ‘I can’t’ and it takes a lot of courage to admit to yourself that you can! You are so awesome, and I know you can continue to be strong and to be in charge of how you’re life pans out. Thank you so much for being an inspiration and for sharing your story!